position Center of the handle in 3D space. rotation Orientation of the handle in 3D space. 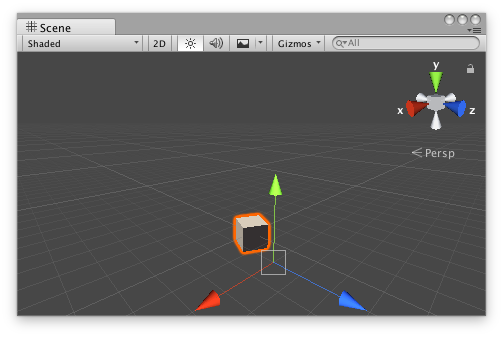 This handle behaves like the built-in move tool in Unity. Add the following script to your Assets folder as PositionHandleExample.cs and add the PositionHandleExample component to an object in a Scene. Add the following script to Assets/Editor as PositionHandleExampleEditor.cs and select the object with the PositionHandleExample component.